The new version of ONLYOFFICE is out. 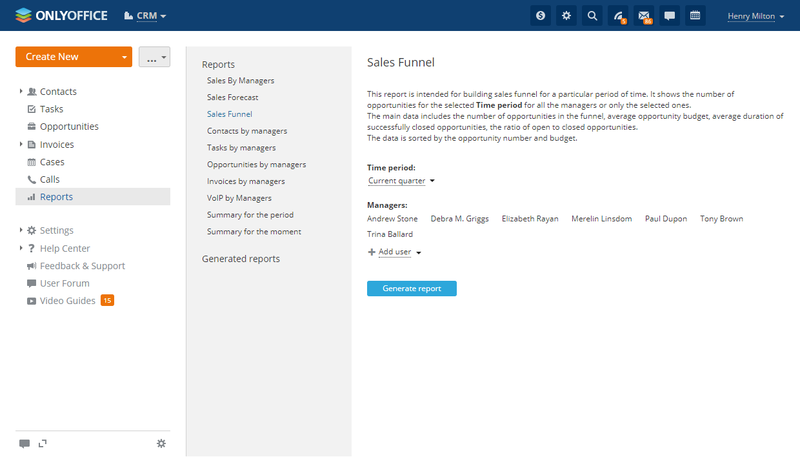 Big updates cover editing suite, portal management, CRM, Projects and Talk modules, and multiple back-end capabilities. Two-step verification. In third-party apps menu we added two-step verification platforms, Clickatell and SMSC. Single Sign-On. The feature allows signing on via AD FS among other third-party identity services like Shibboleth and OneLogin. Single Sign-On is now provided with customizable button. In the new version users can also set up a default trade currency and define the currency exchange rates to manually maintain the correctness of the conversions. Experience optimized navigation throughout the module. Additionally, the new chat allows you to delete the uploaded files in the dialogues to clear the disk storage. If a user is blocked, their items can be easily reassigned or removed. 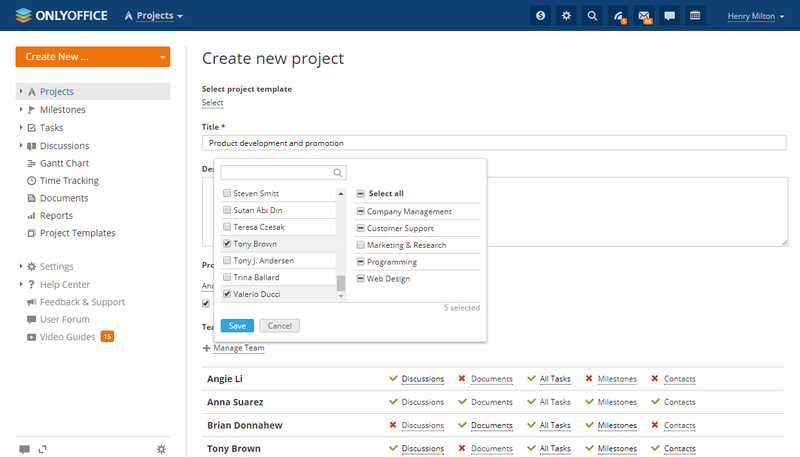 Control over tasks, projects, contacts and documents can be moved to other users. Documents can be also deleted, as well as mailboxes and emails. Dutch is now available as a new portal language. We also considerably improved translations in Turkish, Vietnamese, Italian, Chinese, Polish and Ukrainian. Read more about portal language settings here. We encourage our user community to openly participate in the translation of ONLYOFFICE. Recently, we posted a story about Simone, who helped us translate ONLYOFFICE into Italian. If you have any questions, please leave your comments below this post. Your feedback is very appreciated! 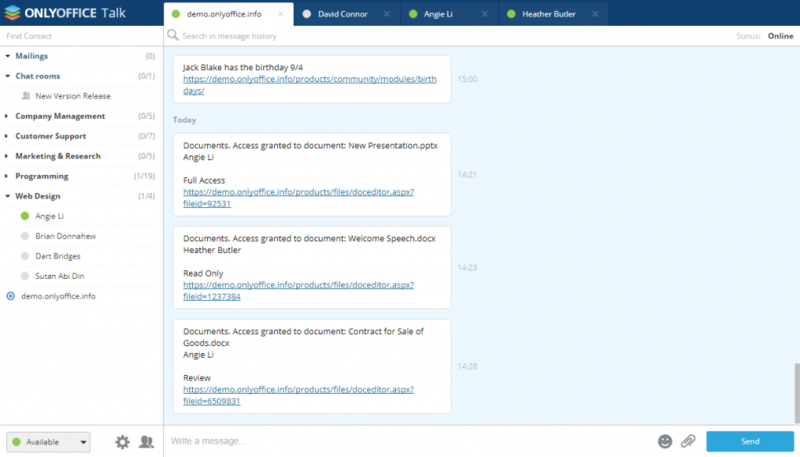 When new OnlyOffice will be available to download? Hello! Enterprise Edition users will receive the update by the end of October. Is this version still maintenained ? Hi David! Yes, version 9.1 is maintained. At what point will community edition receive this update? I usually like to first test new major releases in lab before applying update to production server. We are releasing Enterprise Edition by the end of October, as I mentioned in one of the previous comments. When the release is out, we will point out what features are available in Community Edition. Will you consider to make a desktop version of Chat/Talk? We have tried to integrate with Talk with third-party XMPP clients, but file transfer/sharing is not supported. Hello! Unfortunately, we are not planning a desktop version of Talk, at least currently. Regarding your third-party integration, our support team might help you. Please write an email to support@onlyoffice.com: describe the problem and attach a screenshot of chat integration settings. Good luck! Just updated the community server to 9.5 and Documents is on 5.0.3 but i don’t see the new interface for the editors… am I missing something? Unfortunately, the new interface is Currently available in Enterprise Edition only.